Rempel Stanztechnik GmbH & Co. KG, that actually means â€žRempel stamping â€“ technologyâ€œ is your innovative partner for stampings, deep drawing and metal conversion parts acc. to the presented range of products. One main aspect of the development is the idea, to convert forgings and castings by stampings where it is feasible for cost reductions. The processing of sheet metal between 1 and 12 mm enables us to do so. The product development is supported by a CATIA V5 system. From our own product development we could engender 16 registered patents. The production takes place on presses between 100 â€“ 800 tons in progressive and transfer procedure. In an own state of the art tool shop tools up to a 3 meter length can be designed and built. A division for prototypes is available. 3 measuring mashines support the tool shop and production. Rempel Stanztechnik GmbH & Co. KG is certificated to DIN EN ISO 9001, IATF 16949:2016, ISO 14001. Beyond this Rempel Stanztechnik GmbH & Co. KG operates a successfull a joint-venture with Zastava in Serbia for the production of forgings. 2003 Rempel Stanztechnik GmbH & Co. KG cofounded the company Rempel-Smejkal s.r.o. in the Chech republic. This company is a mashine shop spezialized on the mashining of yokes. 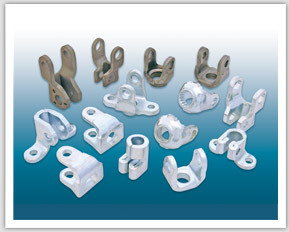 Due to a good market reputation Rempel Stanztechnik GmbH & Co. KG is more and more approached by their clientele with problem solutions for all kind of complicated stampings. Rempel Stanztechnik GmbH & Co. KG will fight for a leading position on areas of its core competence. This is generally the preocessing of thick metal up to 12 mm.